Discover attractive towns and villages, some of them with a rich historical past. 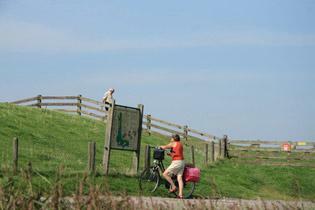 Safe bicycle tracks lead you past the varied scenery of woods, dunes, marshes, crop fields and pastures with grazing piebald / Frisian cattle and proud black Frisian horses. Tourists travel from far and wide to experience the wild purity of the Wadden Islands that are a part of Friesland province. Opt to stay an extra night in the town of Harlingen to visit Wadden Islands Vlieland or Terschelling. As on all our carefree cycle tours, we provide luggage transfer and excellent accommodation. 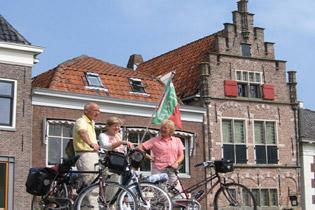 As on all our carefree cycle tours, we provide luggage transfer and excellent accommodation.